Welcome to our new rescue leader! 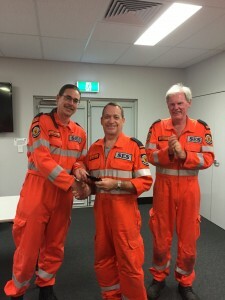 Rescue leader: congratulations to Ian, our new rescue leader! Ian has been in rescue, training our teams and team leading in response for a few years now. We look forward to the next chapter of rescue with Ian to take us forward! A big thank you to Steve our dedicated, outgoing rescue leader who has been a great leader and now prepares for his next management role. In the photo below manager Drew and Steve congratulate Ian on his new role.